Stoneridge is centrally located to Anderson, Clemson, Greenville and Seneca. 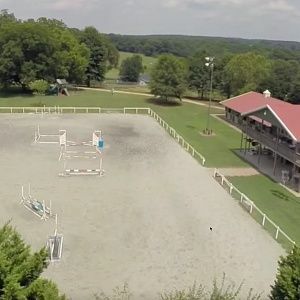 Stoneridge Equestrian is a full service boarding facility that caters to not only the serious competitor, but also to the casual pleasure rider. The care and enjoyment of the horse and rider are of our utmost concern. 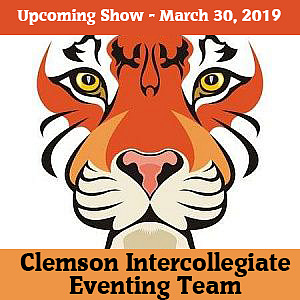 While we specialize in Eventing, Hunter/Jumper, Equitation and Dressage, we are open to all disciplines of riding and breeds of horses. The wonderful family friendly atmosphere is what makes Stoneridge an enjoyable place for both horse and rider. 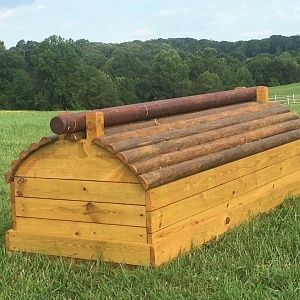 We offer a variety of amenities to make your time fun and productive including 150 acres of open grass fields and wooded trails for hacking and conditioning, cross country schooling course with over 70 jumps (100's of combinations), 30 stall main barn, 4 stall guest barn, 2 outdoor arenas, 1 covered arena, over 30 sets of portable jumps, and a large trailer parking area. Please see the Facilities tab for more detail. We are now accepting horses for boarding and students to our lesson program. Chimene Evans offers lessons in classical dressage training and jumping. Chimene is also available for coaching at shows. Striving to make horses and riders happy and creating harmony with your equine partner whether it be to show or enjoy a hack on our 150 acres of rolling hills. Clinicians are scheduled throughout the year.